You never realise how much ‘stuff’ you have until it comes to packing it all up in boxes. I harbour a desire to be a minimalist but quite frankly I’m really kidding myself here. I’m a complete hoarder and the majority of my hobbies involve having physical ‘stuff’. Photography, craft, art, cooking, books – you get the picture. If I were to list the amount of handbags I have any minimalists out there would probably break into a panic-induced sweat. So anyway, moving house has meant getting used to a new oven. My old house had a fan-assisted gas oven, which would cook most things a lot quicker than any recipe suggested. It also seemed to be hotter on the right of the oven, which meant you had to turn sponge cakes at regular intervals or they’d be lopsided. And no one wants a lopsided sponge cake. The new place has a slick electric oven, which, as I’ve found, provides a nice even heat. It’s taken a bit of getting used to, making sure I don’t undercook things, but so far cooking with electric has made me a very happy camper. 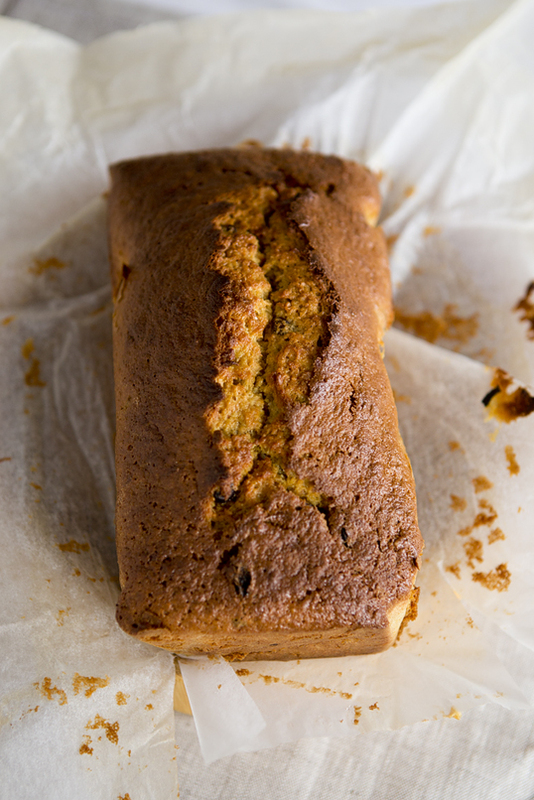 I had an abundance of carrots in the cupboard this week so I decided to use them in a quick fruity loaf cake. What’s nice about this recipe is that it doesn’t contain any butter – all the moisture comes from the carrots and sultanas. And it’s light and fluffy because you fold in whipped egg whites. A very yummy moist cake and I always feel a bit less guilty eating it because it contains carrots. 1. ) Preheat the oven to 170oC/Gas Mark 3. Lightly grease a loaf tin, about 20 x 10 cm, and line with baking paper. 2.) Beat the sugar and egg yolks with a whisk for 2-3 minutes until the mixture is pale and creamy. 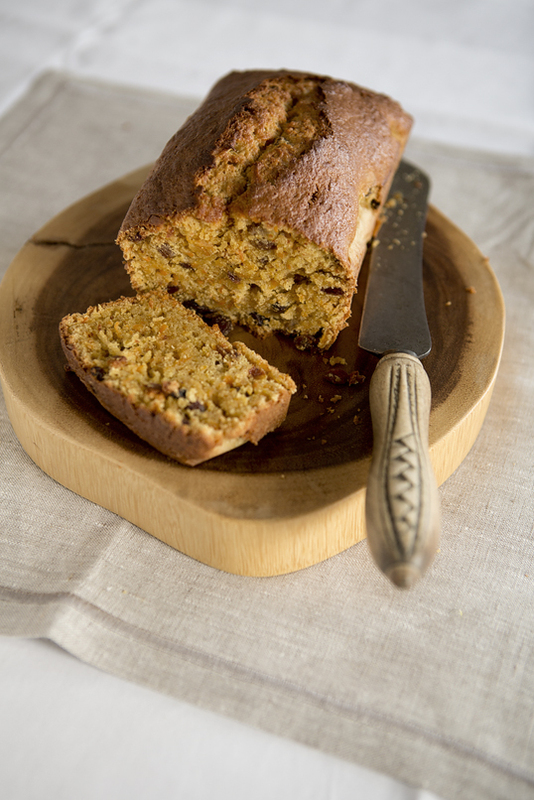 Lightly stir in the grated carrot, lemon and orange zest and juice, raisins and ground almonds. Sift the flour, salt and spices together over the mixture and then fold them in, using a large metal spoon. 3.) In a separate bowl, beat the egg whites until they hold soft peaks. Stir a heaped teaspoonful of the egg white into the cake mixture to loosen it a little, and then fold in the rest as lightly as you can. 4.) Pour the mixture into your loaf tin and gently tap the tin on the worksurface to level the mixture. 5.) Bake for about an 1 hour, or until a skewer inserted into the centre comes out clean. 6.) Leave to cool in the tin for 10 minutes, then transfer to a wire rack to cool completely before slicing.